The WA DOURO RESERVA 2013 is made from 3 selected grapes , Touriga Nacional, Tinta Roriz and Touriga Franca, combined to give this superb wine. It is vibrant, with aromas of black fruit and berries and strong yet rounded tannins, which gives the taste a great complexity, and a concentrated, intense and long finish. The aromas are well balanced through an excellent integration of the wood, resulting from the 12 months of internship in French and American oak. 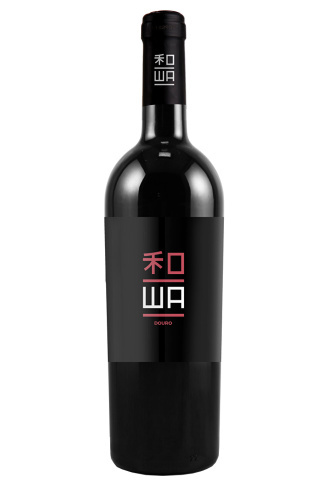 FOOD PAIRING: The WA DOURO RESERVA is great to pair with the Chinese cuisine, a generous cuisine to which bringing expressive and muscular wines is important, wines like this that are spicy, soft, and on the richer side. This wine also goes well with Japanese beef based Yaki-Niku, as well as Korean and Vietnamese barbeque dishes. The grapes in the WA DOURO RESERVA wine are carefully pressed at low pressure, followed by alcoholic fermentation at controlled temperatures. Before bottling, the wine is filtered and cold stabilized. ORIGIN: The WA DOURO RESERVA is born from a meticulous selection of wines, from the noblest grape varieties of the Douro region, a demarcated in 1756 and thus the oldest demarcated wine region in the world. Appointed world heritage site by Unesco, the Upper Douro Wine region has a beautiful landscape as well as micro-climates in various sub-regions. The vineyards are implanted upstream and downstream of the Douro River, arranged in terraces and shady grounds, thus giving conditions for the perfect marriage in the production of this wine.